Although the prevalence of conventional cigarette smoking has been decreasing over the last couple of decades [1,2], electronic cigarette (e-cigarette) use has shown a staggering nine-fold increase from 2011 to 2015 among adolescent and young adults 18-25 years old . 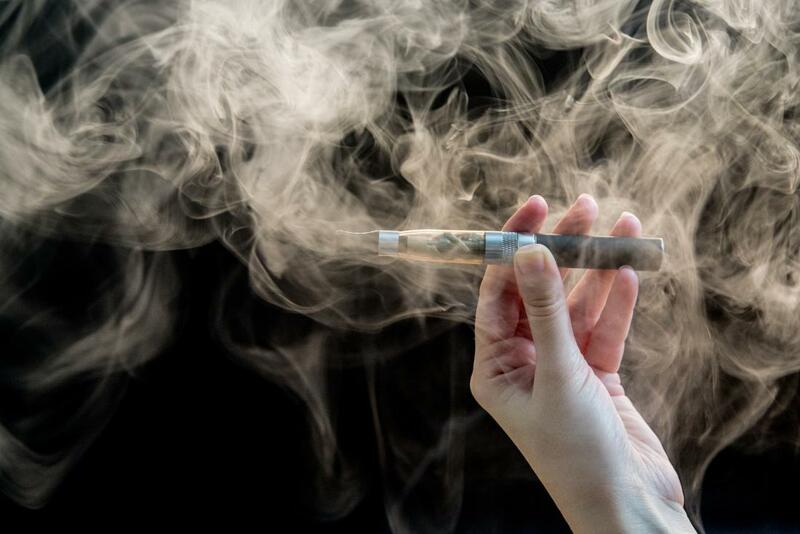 E-cigarette use among younger adults has surpassed that of adults 25 years of age and older  and is being reinforced by targeted marketing from the tobacco industry to college age adults . To make matters worse, there are clear bidirectional relationships between smoking and sleep disturbance. Despite sleep being a critical component to healthy development, even into adulthood approximately one third of the population reports at least one insomnia symptom [5,6]. The presence of an increase in smoking, coupled with poor sleep among college age adults, poses a major public health concern for this critical age group. Consequently, there is an unmet need for effective smoking cessation programs that also include sleep interventions. Sleep disturbance is even more prevalent with both current and former smokers  as nicotine contains a direct stimulant effect which may intensify sleep problems or counter the cognitive deficits of sleep deprivation producing insomnia-like-effects. Insomnia is typically characterized by difficulty falling and remaining asleep, waking up too early, and/or non-restorative sleep . Insomnia has a dramatic impact on learning, grades, perception of effort, driving performance, and mood , all of which can affect overall performance and mental health. Therefore, nicotine use and accompanying insomnia poses a serious short and long-term threat to health and well-being . Validated programs that target both can allow for a “two birds, one stone” approach, but are currently lacking. Understanding the relationship between sleep and smoking is a relatively new area of research, but an important one. Nicotine is highly addictive and acts as a stimulant. A single e-cigarette can deliver up to 15.4 μg/kg of nicotine , which can contribute to sleep disturbance . A number of studies [13-17] have examined the influence of cigarette smoking behavior on sleep for young adults. Convincingly, several studies have reported that smoking behavior was associated with poor sleep and more specifically that increased smoking was associated with greater sleep disturbance such as chronic difficulty falling asleep [13,17], difficulty maintaining sleep , and insufficient sleep [15,16] which all present as insomnia-like symptoms. Recently, several studies have suggested that sleep may be a moderator for risky behaviors such as smoking, alcohol and substance use among adolescents [18-21]. Moreover, trajectories of health risk-taking behaviors under 18 year olds have predicted insomnia in adulthood . This broadened concern reflects the need for evidence-based sleep interventions for young adults in college settings. Health risky behaviors such as smoking have been identified as detrimental to both sleep quality and quantity, yet combined smoking cessation and sleep hygiene strategies are currently limited. A potential solution is expanding the smoking-specific content in a sleep or general health intervention to include efficacious smoking cessation interventions such as personalized feedback, smoking/e-cigarette information and recommendations . Understanding habits, outcomes, quality and associated factors of sleep for both non-participating and participating young adults of smoking may help those in academic settings reduce the use of both conventional and e-cigarettes and improve sleep to prevent future consequences. Moreover, the findings from such studies will aid educators and policy-makers to include sleep hygiene as secondary outcomes when implementing smoking cessation programs, likewise, sleep hygiene/ problem intervention studies to include quitting smoking as a secondary outcome to enhance health promotion and disease prevention. Misol Kwon is a 3rd year PhD student in the School of Nursing at University at Buffalo. Her research interest is in the effects of electronic cigarette on sleep behaviors of adolescents and young adults. She is a lark, and loves to travel and play sports. Deleanu OC, Pocora D, Mihălcuţă S, Ulmeanu R, Zaharie AM, Mihălţan FD. Influence of smoking on sleep and obstructive sleep apnea syndrome. Pneumologia (Bucharest, Romania). 2016;65(1):28-35. Stone KC, Taylor DJ, McCrae CS, Kalsekar A, Lichstein KL. Nonrestorative sleep. Sleep Med Rev. 2008;12(4):275-88.